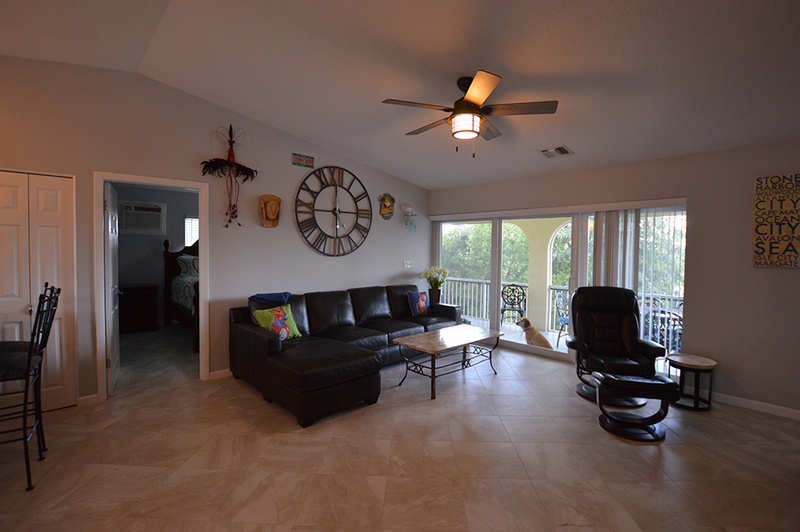 Relax and enjoy your Keys vacation in this spacious 3 bedrooms 2 bath home. 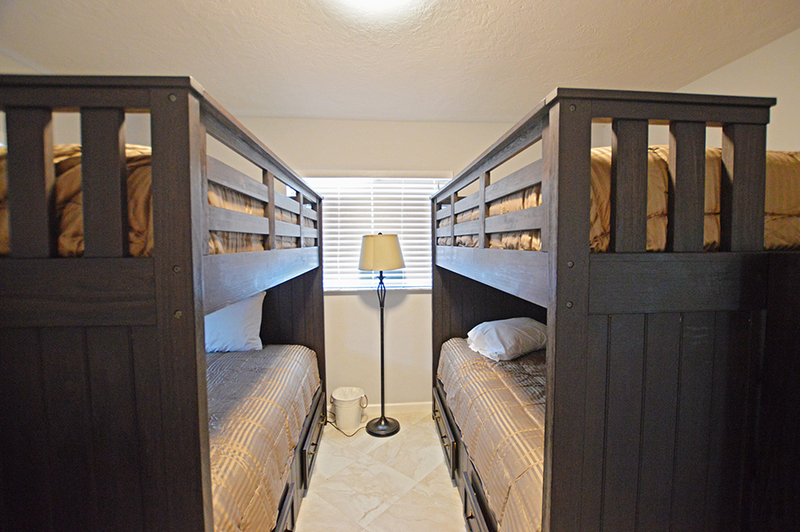 For sleeping, there is in the Master Bedroom King Bed, Bedroom 2 Queen and Bedroom 3 Two Double Bunk Beds. 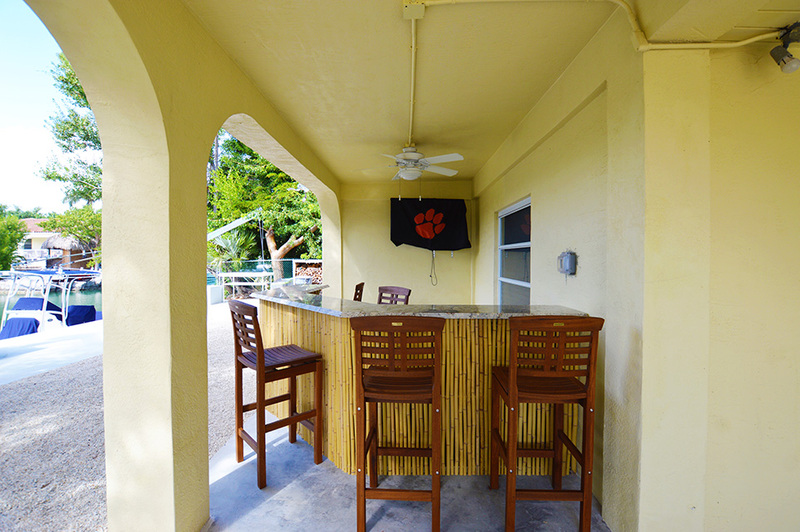 The home has a large screened porch facing the water and the dock where you can enjoy breakfast or evening cocktails at the Tiki bar downstairs. 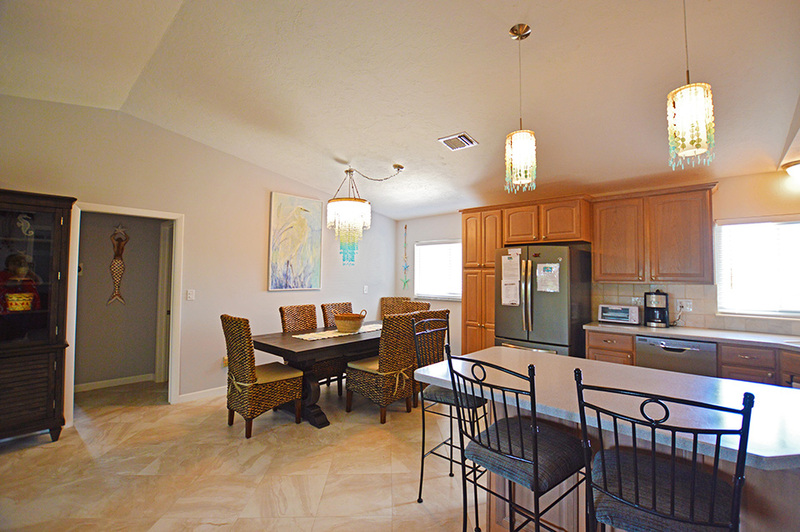 A spacious kitchen equipped with stainless steel oven, refrigerator, microwave, and dishwasher provide the perfect place to cook your catch, simply toss a salad, or explore a new tropical recipe. 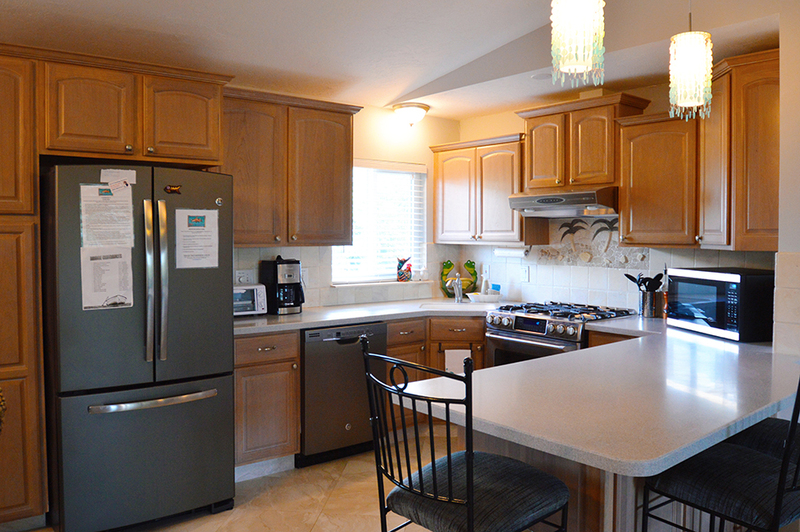 The home has Cable, Wifi, washer & dryer, and a gas grill. 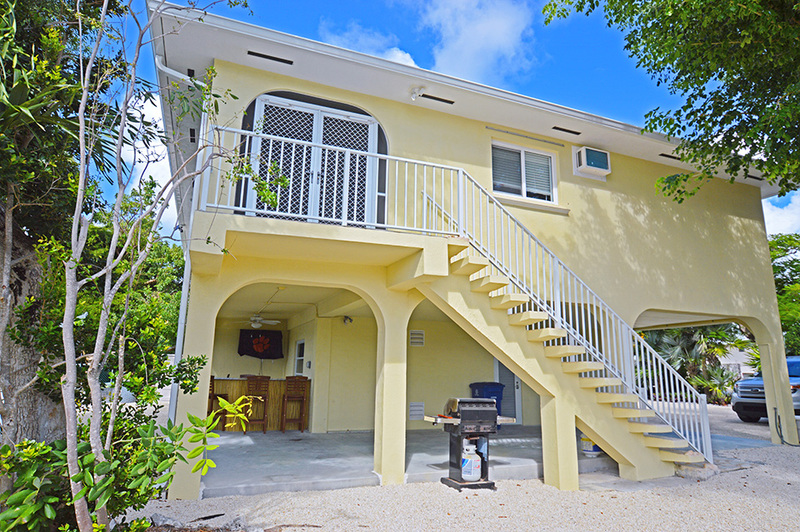 Access for fishermen and divers to the Atlantic is easy, home is located close to Cudjoe Gardens marina, which has a fuel dock and boat ramp. 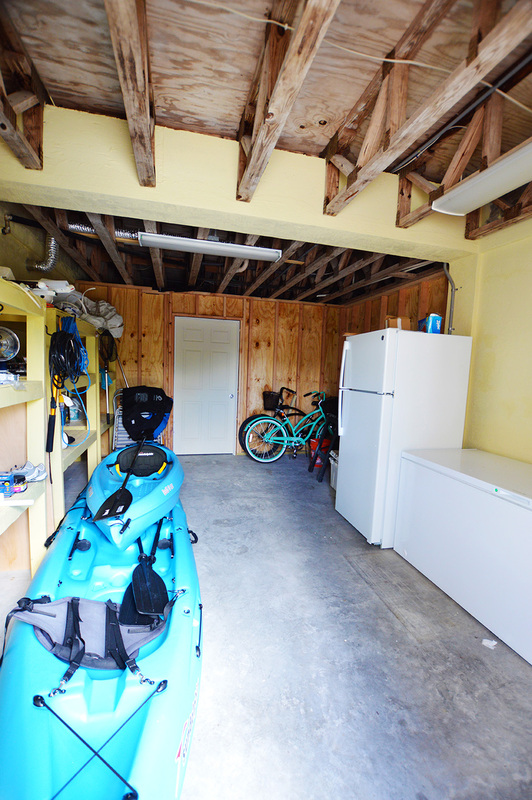 Home has bikes and kayaks for tenants use. A 15-minute drive will put you in Key West for all your shopping needs, world-class dining and unique history The international airport in Miami is about 3.5 hours drive with the Key West airport about 15 minutes. 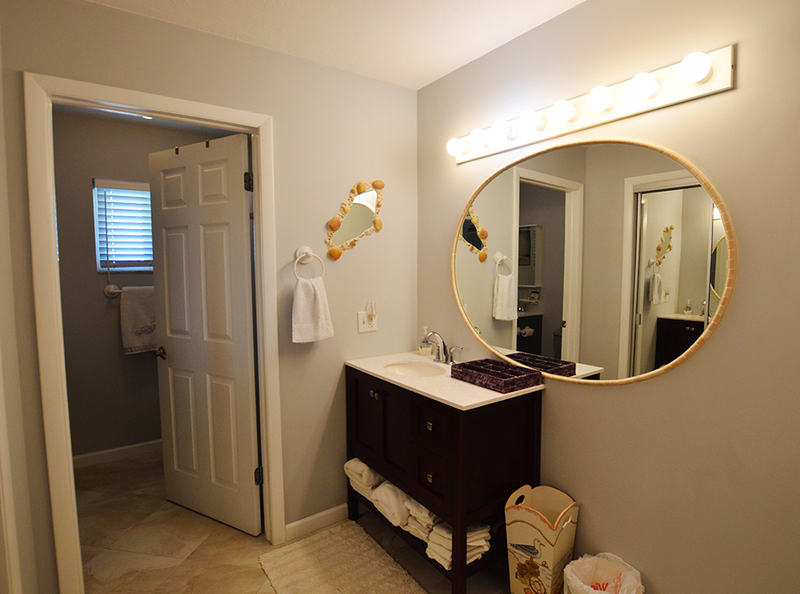 This is a non-smoking home and 28-day minimum rental per Monroe county code. Please fill out this form and give us a little information so we can best help you. 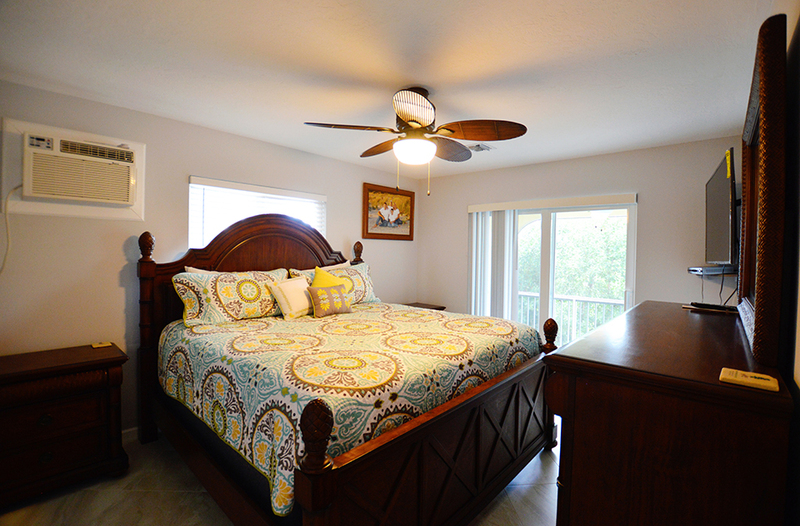 Copyright 2017 Florida Keys Realty, Inc. 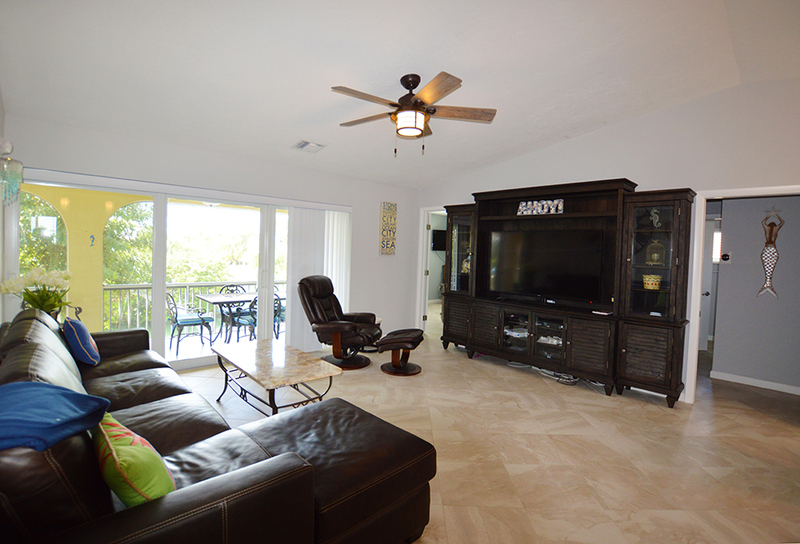 The largest of the Lower Keys. 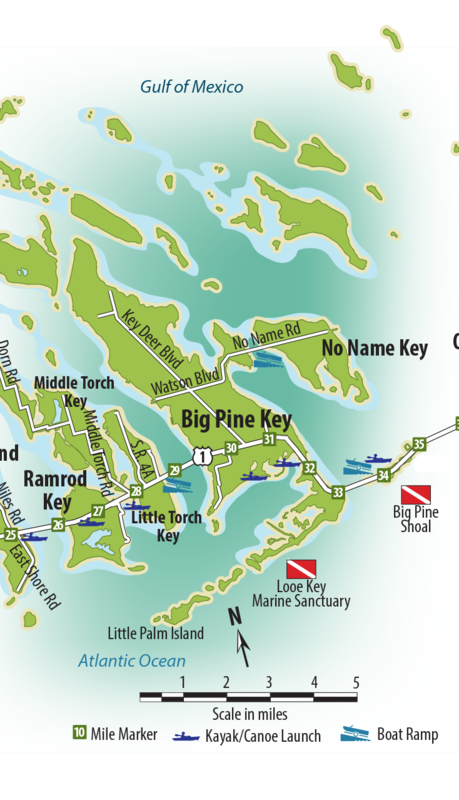 Located about 30 miles from Key West, Big Pine Key is the largest of the Lower Keys, while being second largest only to Key Largo. It is named for the extensive stands of Southern Slash Pines that are found here and on nearby No Name Key and Little Pine Key. It is also home to the famous little Key Deer. Points of interest include The Blue Hole which contains fresh water turtles, fish and alligators, and the Nature Trail which meanders through federal refuge lands. Big Pine lies within both the Key Deer and Great White Heron National Wildlife Refuges. The developed areas are scattered about the island with state and federal protected lands in between. Most of Big Pine Key is pine lands and hardwood hammocks fringed by wetlands and transitional wetlands. 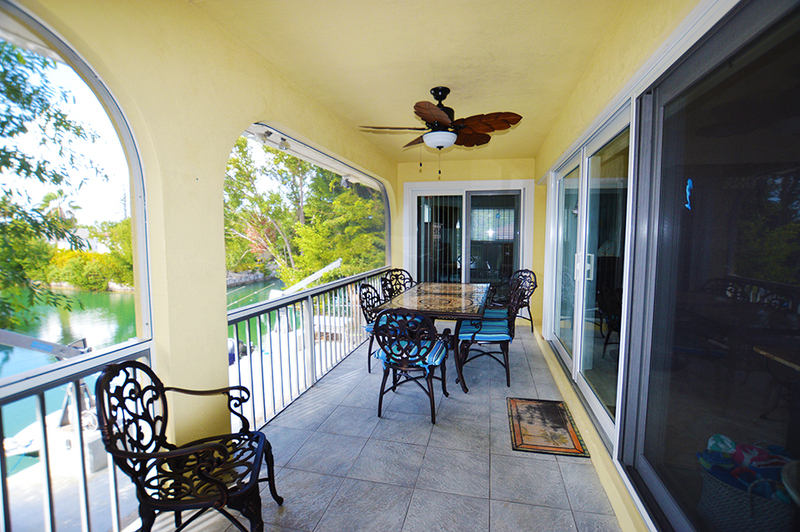 Along US 1 you will find much more diverse commercial activities and businesses. These include: two large marine dealers, two dive shops, two bait/tackle shops, two convenience/gas stations, a post office, two banks, two beauty shops, two liquor stores, a major chain grocery store, boat rentals, kayak rentals, video rentals, florists, three building supply/hardware stores, dentists, doctors, gift stores, eleven restaurants and more. 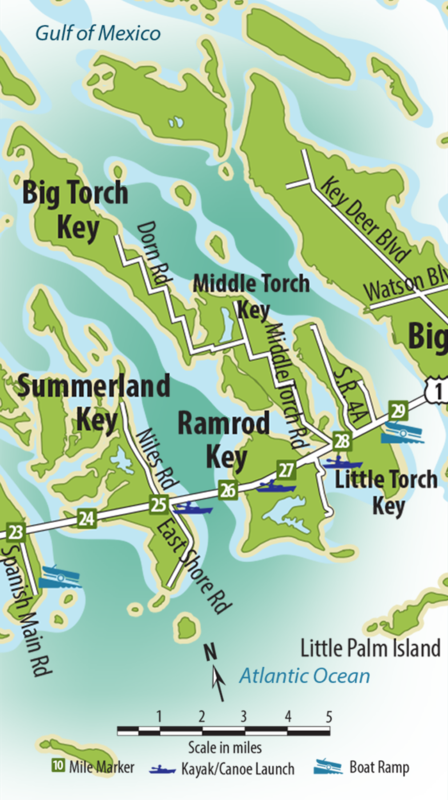 The Torch Keys lie between Big Pine Key and Ramrod Key, approximately 28 miles from Key West. There are three islands, Little Torch Key, Middle Torch Key and Big Torch Key. All are said to have been named for a small tree called torchwood, that will burn even while green. This made torchwood an important resource for the early settlers here. Little Torch is the most densely populated of the three with a development on the eastern shore south of the highway, and many more homes scattered northward to the tip of the island. Big and Middle Torch are mostly all protected state and federal lands consisting of mostly transitional wetlands and hardwood hammocks. Along US 1 you will find a full service marina with boat rentals, dive shop, bait and tackle and of course fuel. There are two restaurants, a motel and a church. 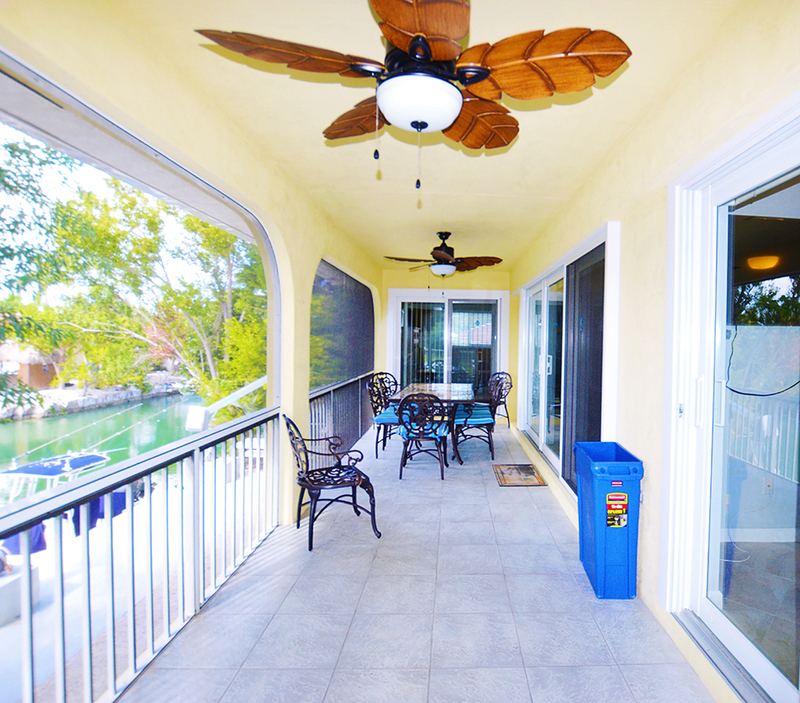 This quiet laid-back key is located some 27 miles from Key West and just across the Niles Channel Bridge from Summerland Key. 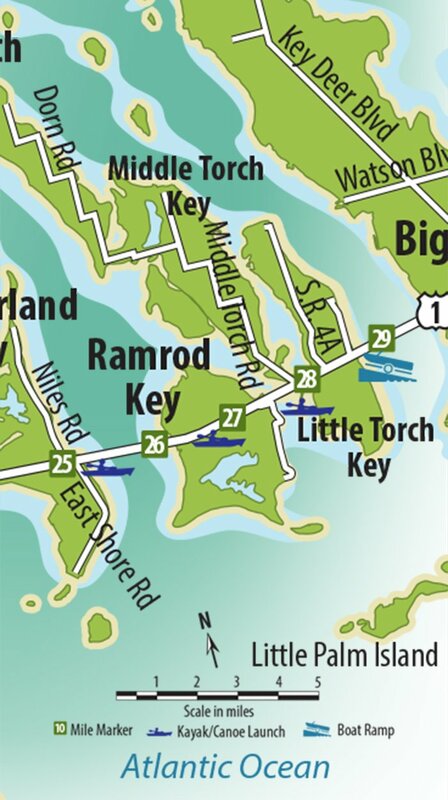 On Ramrod Key you will find most of the homes located along the eastern shore both north and south of US 1. Here you will find two restaurants, a dive shop-motel, a gas station-convenience store and an excellent veterinary hospital. A good portion of the key consists of wetlands and transitional wetlands mostly south of the highway and encompasses all but the eastern shore. 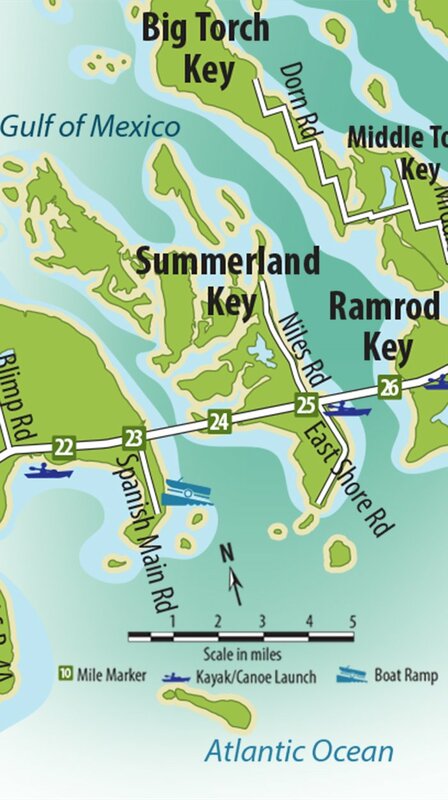 Ramrod Key is said to have been named after a ship that wrecked on the reef south of the island in the early 19th century. 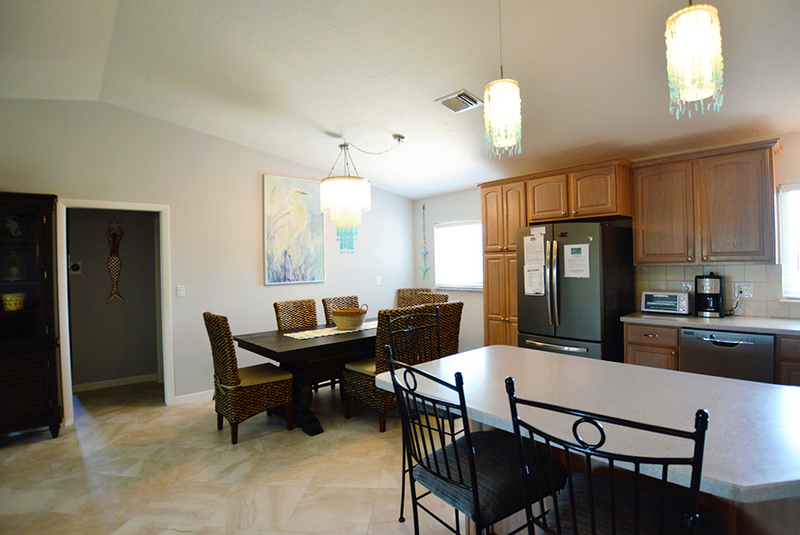 Located a little over 24 miles from Key West, Summerland Key boasts a bit more commercial activity along US 1. You will find among it's amenities a very nice small grocery store, a post office, two gas station/convenience stores (one with boat fuel on a canal behind), two boat rentals, a small but good charter fishing fleet, a florist, a video store, a really great little hardware store, two beauty shops, several professional offices, a large tourist gift store and five restaurants. 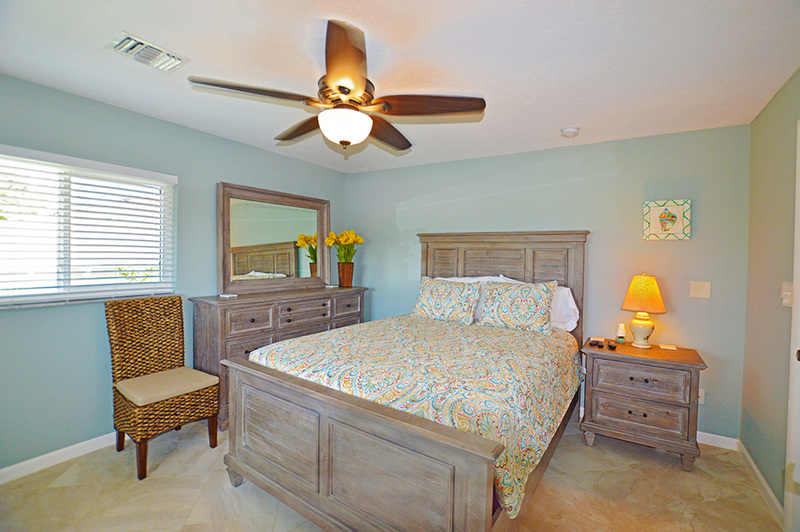 Summerland Key is said to have been named for it's prevailing summer-like weather and trade winds. 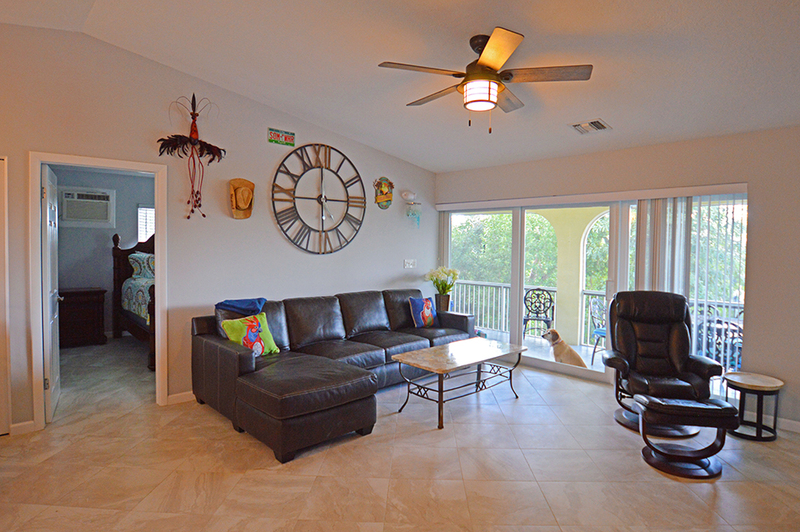 Almost all the homes are located south of US 1 and provide for excellent deep draft boating to the Ocean and Gulf. The remainder of the land mass is mostly wetlands, transitional wetlands and some hardwood hammocks. Best known for "Fat Albert"
Located about 21 miles from Key West, Cudjoe Key is probably best known for "Fat Albert", a military aerostat blimp tethered at the north end of the island since the Cuban Missile Crisis in the early sixties. This Key also has some interesting theories about it's name. One is simply that early settlers would come here to "cut joe", the joewood trees that were so prevalent. Another talks of an early Key Wester with a speech impediment who referred to his cousin Joe, then living on the island, as "Cud Joe". A third theory has a freed slave residing here taking the name Cudjoe for himself in reverence to a Jamaican rebel slave leader. Cudjoe Key is mostly inhabited on the southern shores below US 1, while much of the rest of the island is wetlands and pinewoods, with many cabbage palms, a somewhat rare plant in the Keys. 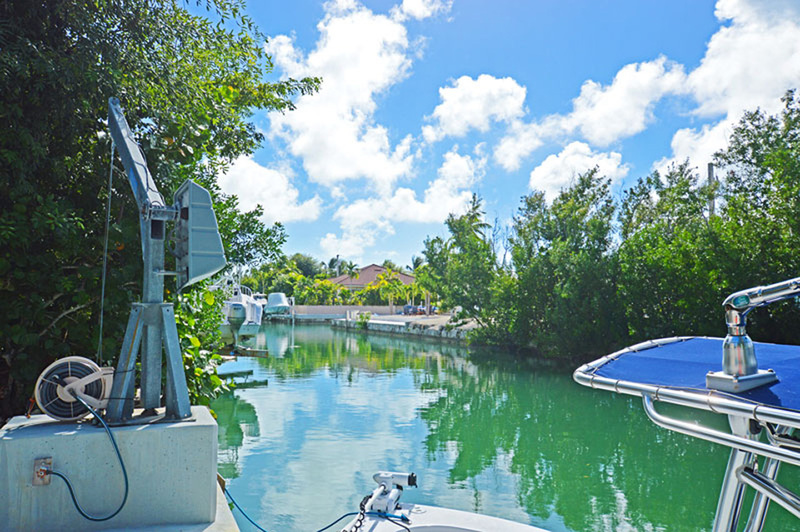 Bow Channel which separates Cudjoe and Sugarloaf Keys was named after a lady pioneer, Lily Lawrence Bow, who resided on the western shore from 1904 to 1906. The island has a marina-dive-bait shop, a convenience store/deli, a county sheriff station, three restaurants and an excellent veterinarian. 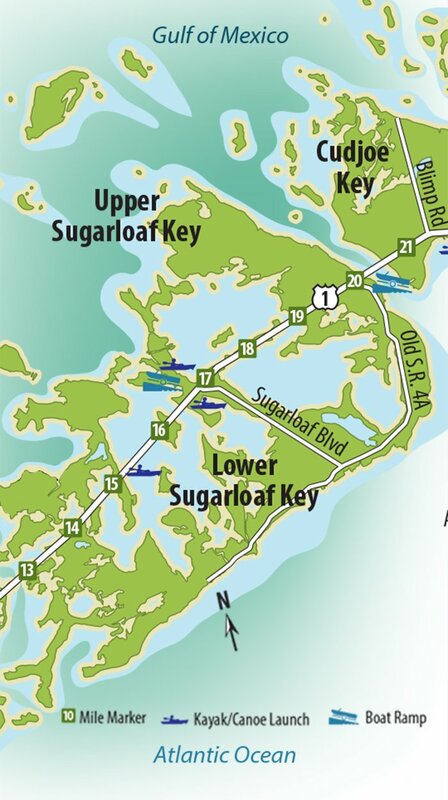 There appears to be possibly two theories on how Sugarloaf Key got it's name. One would tell us simply that there was once a very large Indian mound near the eastern shore just north of what is now the Bow Channel bridge, that was shaped like an old fashioned loaf of sugar, hence the name. The second theory is that it was simply named after the Sugarloaf Pineapples which were once grown here commercially. On the north side of the highway, near the airstrip and behind the Sugarloaf Lodge marina and restaurant can be found the famous "Bat Tower" constructed by Richter C. Perky in 1929. The fifty foot wooden tower was built to house large colonies of bats which in turn would hopefully devour the clouds of mosquitoes. The bait was put out, but the bats never showed up, leaving the tower a conversational point of interest to this day. 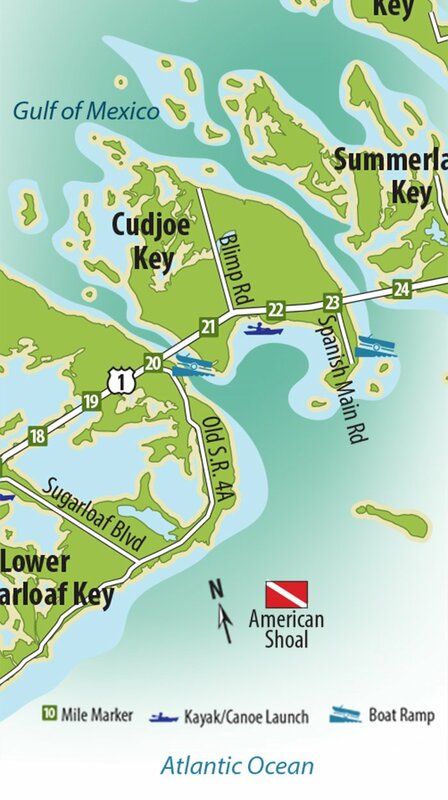 Today, Sugarloaf Key, which is 17 miles from Key West, boasts a motel and restaurant, a marina with a bait and tackle shop, a convenience store/deli/gas station, a post office, a bank, an airstrip, a large marine dealer and repair business and an auto repair shop. There is an excellent kayak eco-tour departing from the marina plus canoe and kayak rentals available. The key also has a fire station, an elementary school and a church.